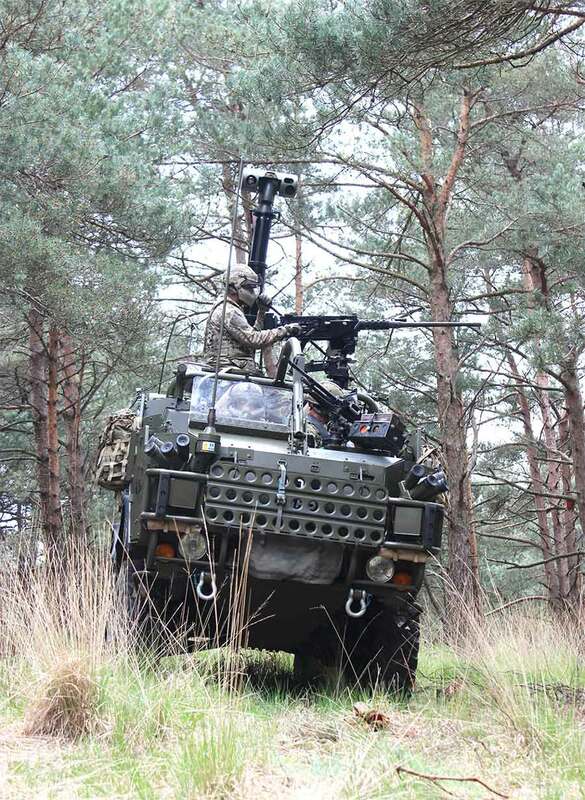 A quick fit electro-optical system designed for recce vehicles will be launched at DSEI by Chess Dynamics. The Hawkeye Vehicle System (VS) is an easy to use, easy to fit surveillance system, which allows the operator to see out to 15km using long-range day/night sensors. To reduce the operator’s workload, the system uses the latest image stabilisation and video tracker techniques, in addition to relevant situational awareness aids. A touch screen, icon-based display and a game-pad style controller makes the system both intuitive and easy to use. Hawkeye has the ability to set up specific target areas, which are monitored automatically and the operator is alerted to any activity, rather than having to continually monitor the screen. The system comprises a four-metre pneumatic mast that lifts the electro-optic head, which enables the vehicle to remain “hull down” in anonymity while observing targets at a safe distance and out of reach of direct line-of-sight weapons. A Gen4 cooled thermal imager and Chess Dynamics’ Long Range Piranha Day/Low light camera forms the backbone of the system, detecting targets at extreme ranges. The sensor suite also incorporates a Laser Range Finder capable of measuring ranges up to 17km; an optional Laser Target Marker, Designator or NIR pointer can also be fitted. The system is geo-referenced, enabling the platform to give accurate target location, which, with the correct battlefield C4I system, can support and feed into the wider targeting cycle. “A combination of these assets in a squadron would prove useful for target hand off and directing troops at night,” said Eldridge.